Remember the nightstands I got from DI a little while back, well I finished them. It takes me a while always it seems to decide on exactly how how I want them to look. They ended up being real wood so I could’ve sanded them down but I’m not the biggest fan of sanding, plus we already have a stained headboard so the woods would be different and ya I eventually decided to go with the more modern chocolate brown look. 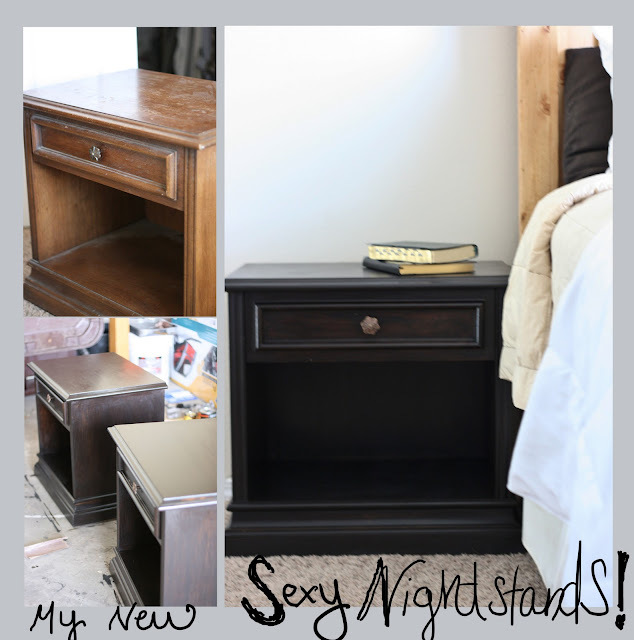 I like them, Dave likes them, our bedroom is happy to have nightstands 🙂 Tell me what you think.